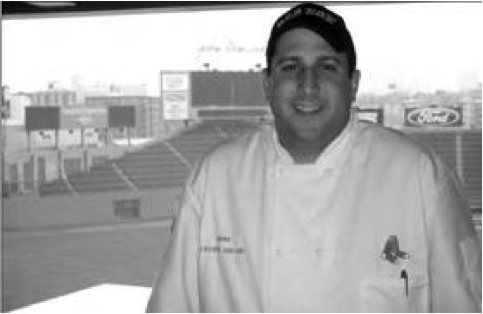 “This Little Piggy Cried ‘Weeee’ All The Way To COCHON555.” | Fidel's Wandering Eye. It’s not often that I start a blog entry with a single word. I thought it best in this instance however, not only for the mere humor of the word in its singular form “pork”, but also for its more down to earth, serious meaning. Pork (in this case the physical meat, not the word) could be defined in a variety of ways: food to some, a pet to a few, an item to avoid in some religions and a sacred animal in others. Even if you set aside the cute, Disney portrayal, as well as the religious and “I want the one in the pink bow mommy” point of views, you’re still left with one very large area of conversation….pork. Or, more specifically, eating pork. Pork is one of the most commonly consumed meats in the world. According to the USDA’s Foreign Agricultural Service, nearly 100 million metric tons of pork was consumed worldwide…and that was just in 2006. There are dozens of cuts of pork and, depending on what country you’re standing in while doing the cutting, dozens of ways to name them! There are literally hundreds of ways to prepare pork, depending on what part of the animal you’re cooking and how you’re cooking it. It can also be made into ham, confit, sausage, terrine and pate…as well as its most popular form here in the United States, bacon. Truth be told, I didn’t know most of what I just said to you up until a couple weeks ago (except for the part I mentioned about eating it). This is due mostly to the fact that up until a couple weeks ago I had never been to COCHON555. The brainchild of Taste Network founder Brady Lowe, COCHON555 is a national event that takes place in 14 major markets with the goal of supporting sustainable agriculture. Every year (this is its fourth) it holds a culinary competition in ten cities. Fifty chefs (five in each city) are given one heritage breed pig each, after which they must create a menu using said pig, ‘snout-to-tail’ style. Ten winners (one from each city) are picked to fly to the Food & Wine Classic in Aspen, Colorado for the final event, Grand Cochon. As the event grows in size every year, so too does Brady Lowe’s cause: utilization of the entire animal. 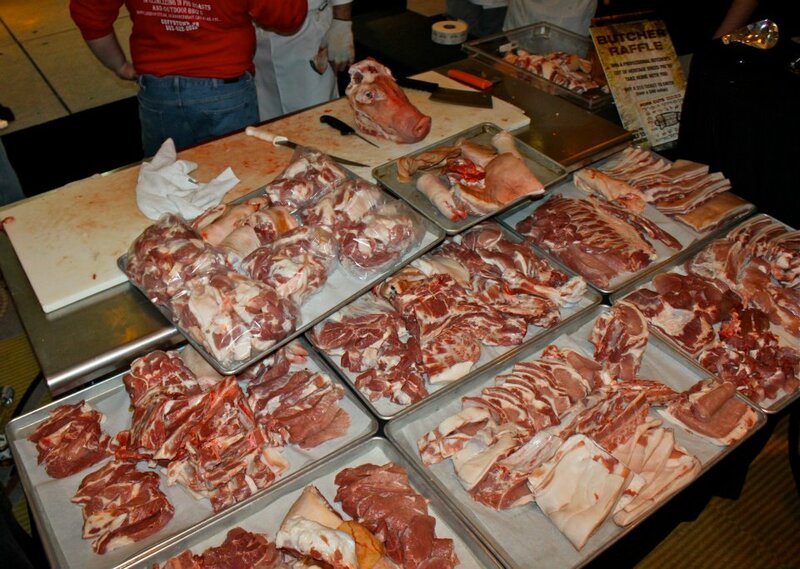 And believe me when I tell you….at COCHON555, the entire animal is utilized. Although I’ll make an attempt for the sake of this blog, actually trying to describe to someone what a day at COCHON555 is like is a lost cause, as no mere words can explain the total explosion of “pork madness” that one experiences. It begins with an hour of VIP pork-tasting and private dish-sampling by various guest judges. It continues with additional hours of general admission perks, including raffles, multiple rooms filled with food, wine and cheese sponsors, a full whiskey bar, giveaways, demonstrations by award-winning butchers and cameos by celebrity chefs. The day’s end brings music, a winner, a few gift bags and a 500-person mini-BBQ that seemed to materialize out of thin air. There are a dozen more COCHON events between now and the end of the year…with any luck I’ll find a ride to each and every one of them. …also with any luck I’ll find a dozen ways to explain to my friends and family why I have to leave town every few weeks because of “pork”.